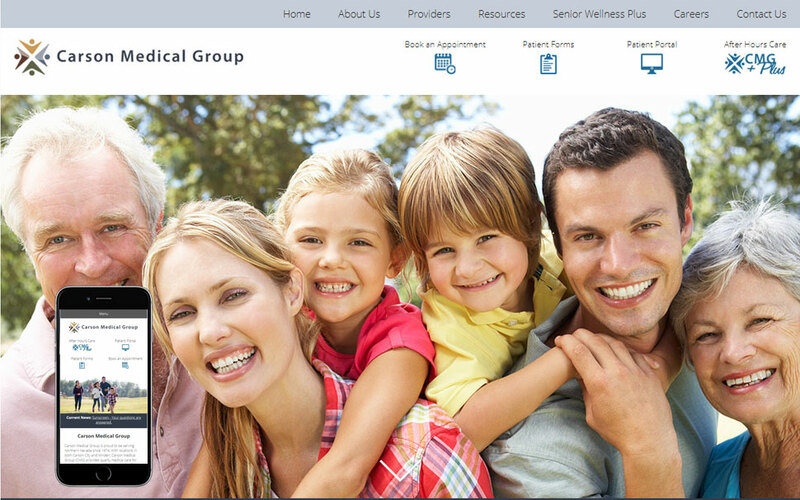 Carson Medical Group has dozens of providers and multiple locations. We helped redesign their website to allow for the content to be organized in an easy to follow fashion. With quick access navigation icons and a highly organized navbigation menu for providers, visitors can easily find what they are looking for. With a completely responsive design, this website allows visitors on all devices to find what they need quickly and easily.